Students in Lorie Hugo’s second grade class at South Ridge Elementary School earn special cooking days as a reward for good behavior. Last month, they made Irish Soda Bread in honor of St. Patrick’s Day. Paige Rippee adds ingredients to a recipe. 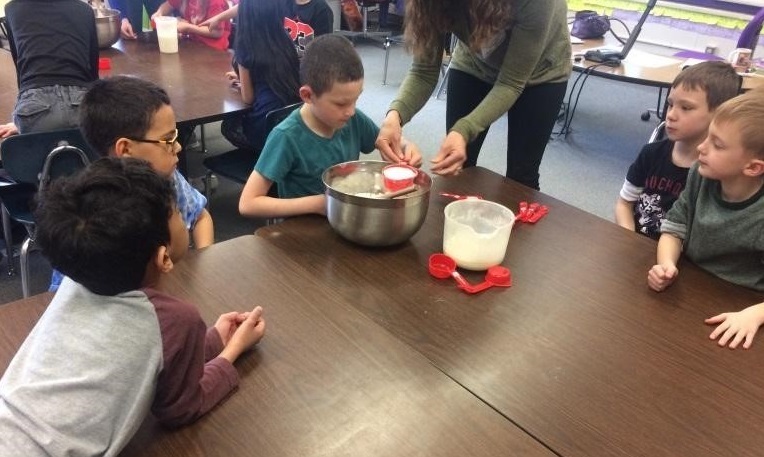 Not only do the kids learn basic cooking skills (like learning how to measure out each ingredient), but with the help of parent volunteers, they also learn how to apply their math skills to calculate the correct quantity of ingredients needed (for instance, doubling a recipe). 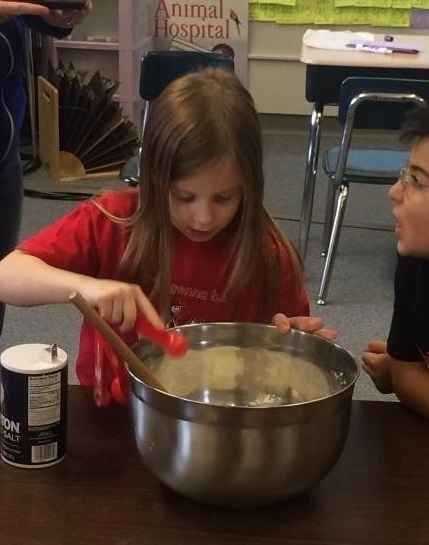 Hugo brought cooking into her classroom years ago and truly enjoys seeing the excitement that cooking brings out in her students.